3. 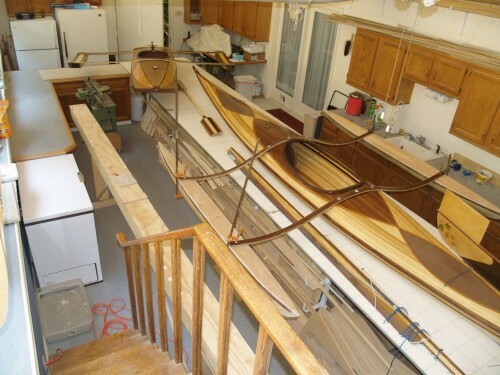 The photo shows the two student kayaks in my shop. The smaller one near the top of the photo is basically chine-built over molds from plywood sheets, the larger one is a strip-plank using poplar, black walnut, and cherry strips over molds. The example1 attachment used 9 of the 12 value sets from the larger kayak. 4. The last attachment is the saved file for the modified hull (the dxf files, for some unknown reason) were automatically put in a separate file??? which does simplify erasing the UC and TRI files.